Carpets are the most used furnishing in residential and commercial settings, but they are often neglected, failing to be cleaned or maintained beyond standard vacuuming. Constant foot traffic allows dust, dirt, and other debris to build up in your carpet, wearing out its fibers. The carpet may become discolored, and all that debris will shorten the carpet’s life span. At ServiceMaster by Rice, we provide carpet cleaning services to residential and commercial properties located in Clive, IA. With our services, your carpeting will be fully cleaned and restored. We use green cleaning products and advanced cleaning equipment to get rid of embedded dirt and debris from the carpet fibers, thus restoring its original appearance. We use the hot water extraction method to clean carpeting, which is done using effective environment-friendly cleaning products and state-of-the-art cleaning equipment. We apply the hot water solution using our truck-mounted equipment. The solution deep cleans the carpet’s fibers and is then drawn out of it, removing the embedded dirt and debris. The water that has been extracted is kept in our equipment and then disposed of at our facility. Green Cleaning Solutions: Before we use the hot water extraction method, carpets are pre-sprayed with our green cleaning products. 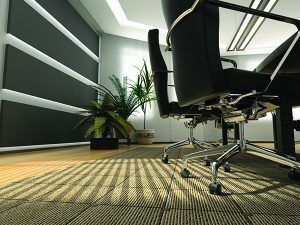 Dirt and Debris Removal: With our cleaning techniques, debris embedded in the carpet’s fibers are effectively removed, improving the carpet’s appearance and increasing the carpet’s life. 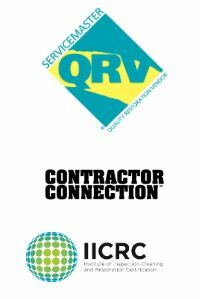 Certified Technicians: We employ IICRC-certified technicians to conduct carpet cleaning. Long-Term Protection: The fabric and stain solution that we use keeps your carpet protected on a long-term basis. Convenience: Our carpet cleaning services only take one day, and your carpet will finish drying within 24 hours. Free Estimate: We take measurements of your carpet and use that to provide a free estimate for our carpet cleaning services. Guarantee: We guarantee that our carpet cleaning services will lead to effective results. Cleaning your carpet yourself can be tough task. A lot of home remedies tend to leave carpets wet, making the drying process longer. This also heightens the chance for mold or mildew, but this isn’t the case with our services. With our carpeting cleaning services, we use green cleaning solutions on your carpet and they will be dry and ready to use within 24 hours. Call ServiceMaster by Rice at (515) 212-2511 for the carpet cleaning services that we offer to homes and businesses in Clive, IA.